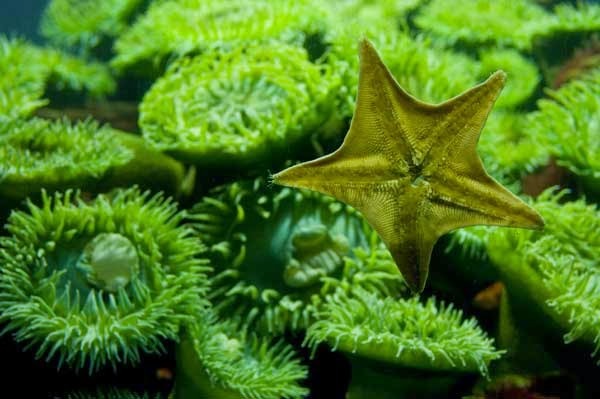 We're celebrating St. Patrick's Day with a special look at some of the green animals from our blue planet that you can meet here at the Aquarium. Not only are their colors pretty festive, but they're actually pretty cool animals! Take a click around—you might just learn something, too. 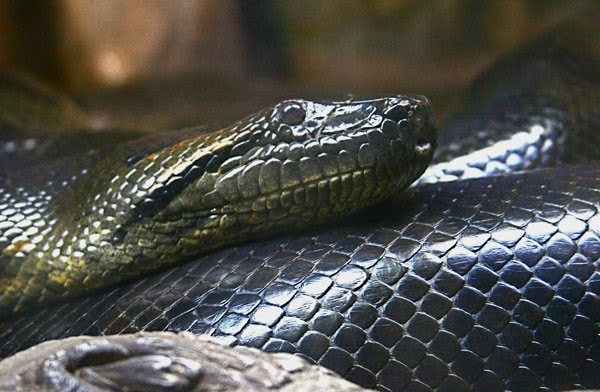 Green can be pretty fierce with a mouthful of razor sharp teeth and the slinky swimming of the green moray eel in the Giant Ocean Tank. 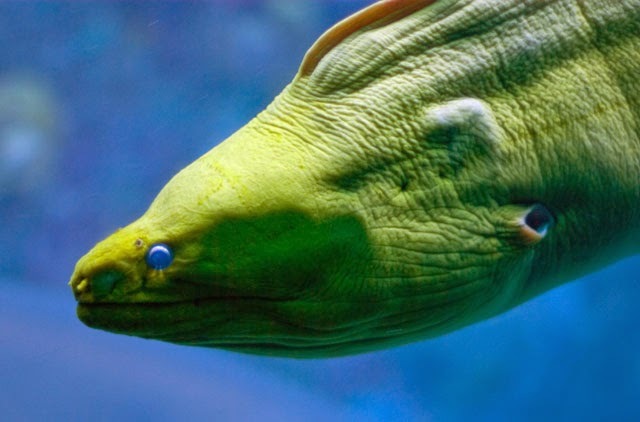 See how a moray eel—with all those teeth—get check-ups at the Aquarium. The green sea anemone may not be one of the most charismatic ocean animals. But its vibrant colors and feats of strength make this tidepool resident worthy of a closer look! Meet the Aquarium's longest residents on the Exhibit Galleries Blog. While green sea turtles spend most of their time in warmer water, young turtles sometimes spend their summers in New England waters. 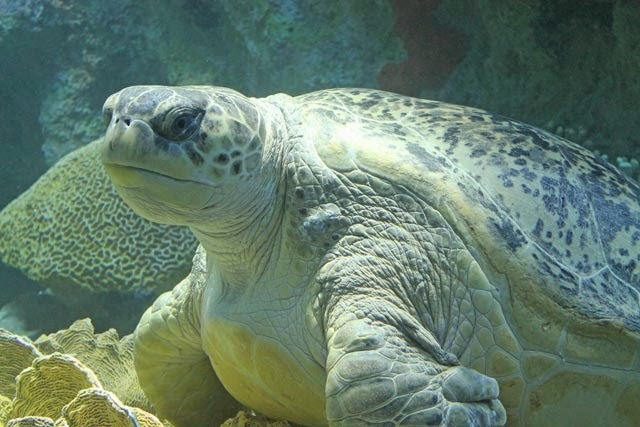 Myrtle, the undisputed queen of the Giant Ocean Tank, is estimated to be around 90 years old. See lots of Myrtle on the Divers Blog. Keep reading on the Exhibits Galleries blog. 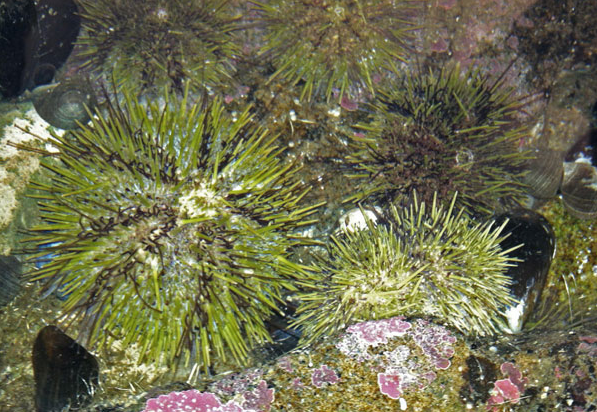 Green sea urchins can be found in our hands-on tidepool touch area as well as exhibits featuring local species. Hope you have a Happy St. Patrick's Day! And if you want to add a little more green to your day, come by the New England Aquarium today.